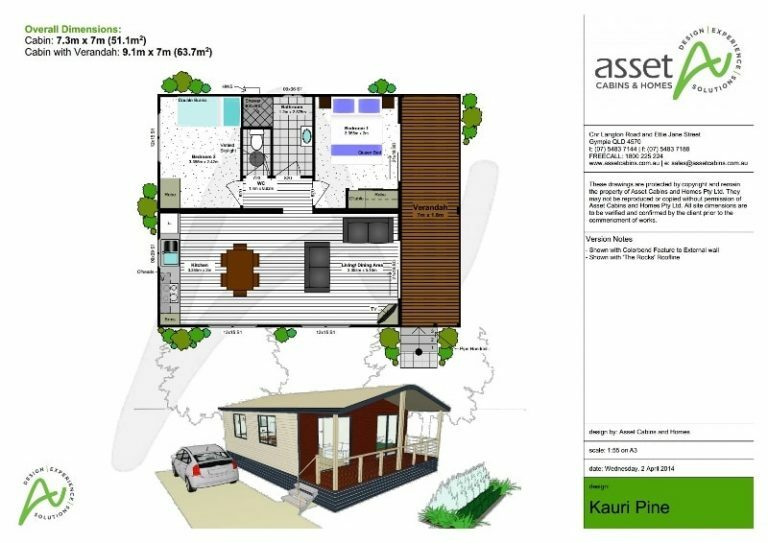 Kauri Pine is a two-bedroom relocatable cabin with upgrade potential. 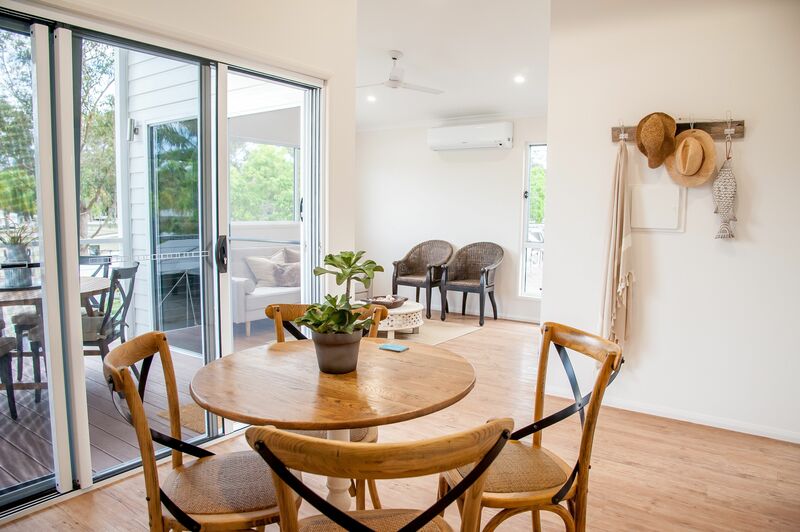 A bathroom and separate toilet separate the master bedroom, which has its own doorway onto the front verandah, and the second bedroom, with trio bunks (double bed and upper bunk). The spacious open-plan living/dining/kitchen area has a light and airy atmosphere.